August is usually too hot to be hiking the desert areas of Utah but after several weeks of 100 degree weather, temperatures in the 90’s seemed mild. My spirit was telling me that I needed some ‘Canyon Time’ so my brother David and I headed south for a Saturday. 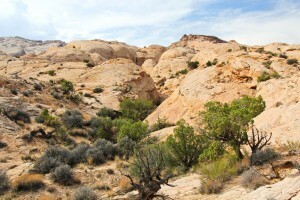 We decided to try exploring an area of the San Rafael Swell south east rim that we hadn’t visited yet. 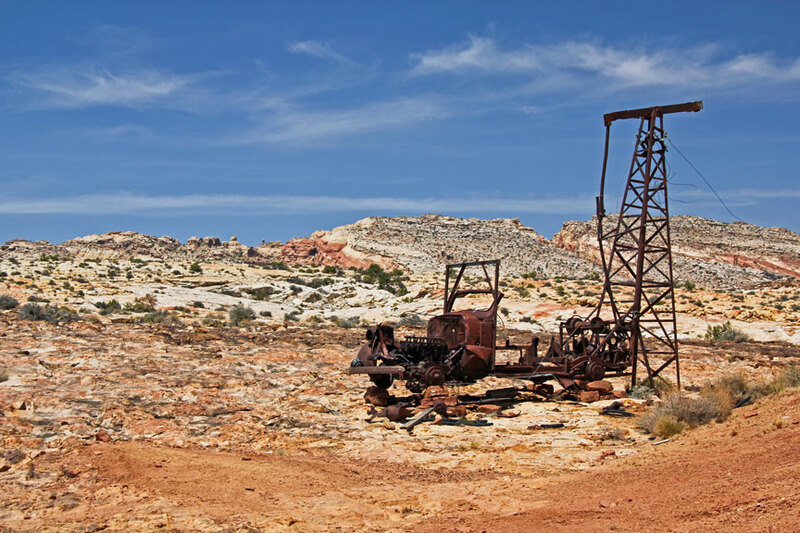 While trying to figure out the best jeep trail into the area, we ended up visiting “Old Rusty”, an abandoned vehicle mounted drill that has been deteriorating out on a hill for several decades. It looked rusty when I first stumbled on it years ago and time has not been real kind to it. I’m guessing it was some kind of sampling drill used back when the area was popular for uranium claims. Something on the unit probably broke down and was soon forgotten. After we found a road further north that approached the correct area, we began hiking west up the slanted rim, keeping Rip Wash on our left (south). 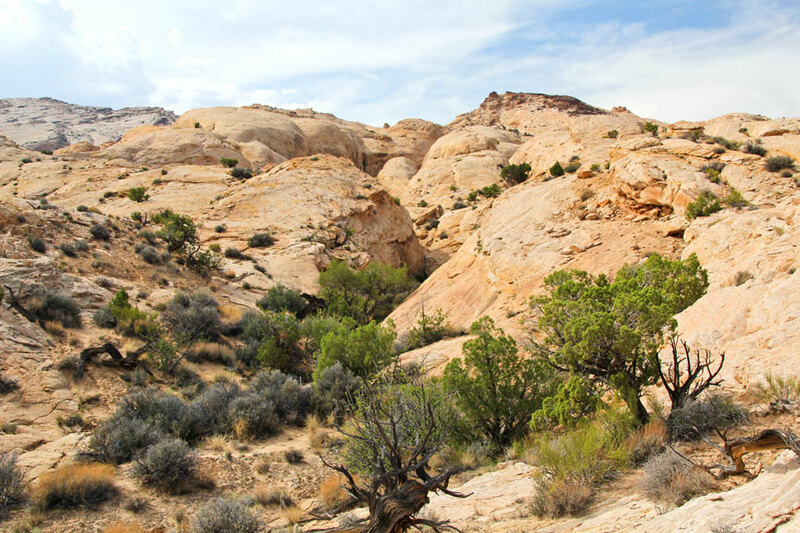 The wash soon became a slot canyon which was inaccessible from the wash because of a steep dry fall. 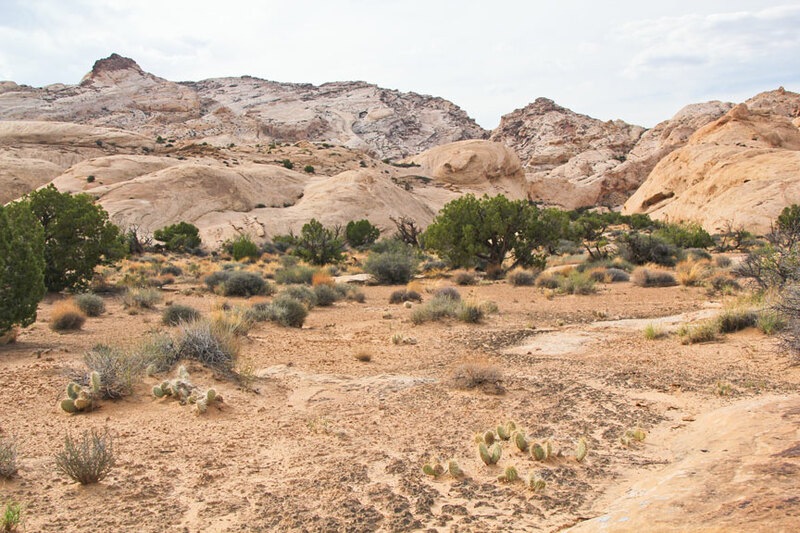 We continued hiking west just exploring the many washes as they led us higher up the rim into deeper canyons. We had to hike slow and take advantage of occasional shade since the temperatures were in the 90’s. It was hot but it really felt good to be out in the hills again. As the day progressed, storm clouds soon provided the shade and a little breeze. However, the storms stayed to the west and we just enjoyed the shade. “Rip Canyon” is just the name I gave to a rather insignificant previously unnamed canyon located between Iron Wash and Straight Wash. 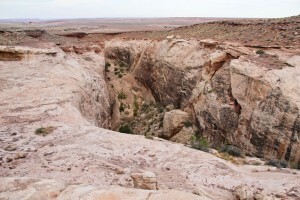 There are probably another three or four unnamed minor canyons in this same area. I called this one Rip Canyon because of the unique lateral canyons that bisect it. While canyons on this side of the swell drain from deep sandstone canyons (west) to the nearly flat lands to the east, Rip Canyon is interrupted by several steep canyons running north and south creating a cross hatch pattern. 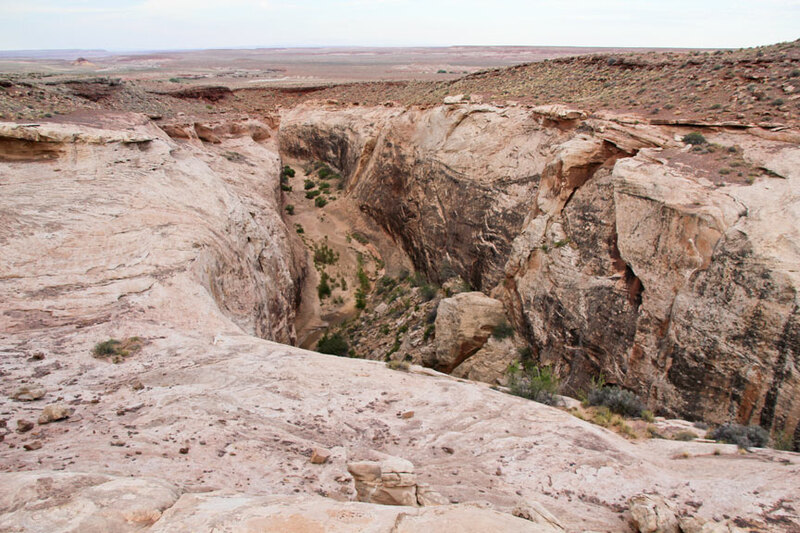 These cross canyons cut across a number of east/west canyons in that high country and make it difficult to hike very far before hitting a cliff edge. We had soon explored as much country as the cliffs allowed from that side of Rip Canyon. We would have to come back again and try another approach to access the slickrock country we could see in the distance. What a wonderful day spent in a beautiful and fascinating land!